Beautiful pictures require a beautiful setting. 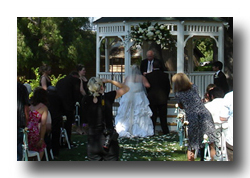 The beauty at Corona Heritage Park is built-in and your photographer or videographer will provide you with images that you will be proud to share for a lifetime. A large brick patio adjoins the garden areas and makes it easy and convenient for catering and buffets. 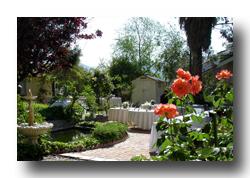 Clean, modern and separate mens and womens restrooms are tastefully located away from view of the wedding gardens. 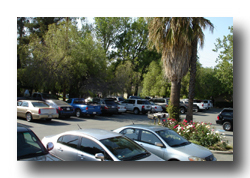 Parking for up to 80 cars is immediately adjacent to the garden area for the convenience of your family and guests. Easy limo access and plenty of street parking is also available.